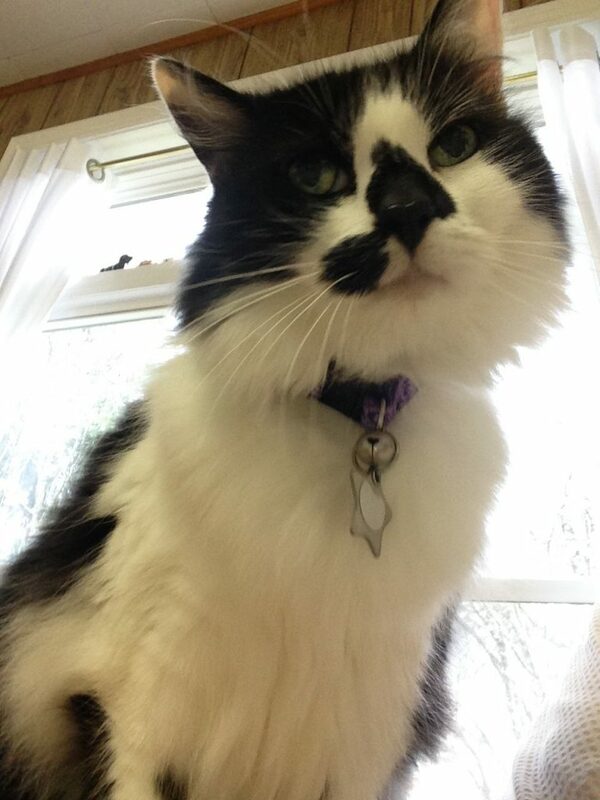 The team at Riverview Animal Hospital can help steer you in the right direction when it comes to your pet’s weight. We have trained team members that can work with you to improve your dog’s health and add years to their life. 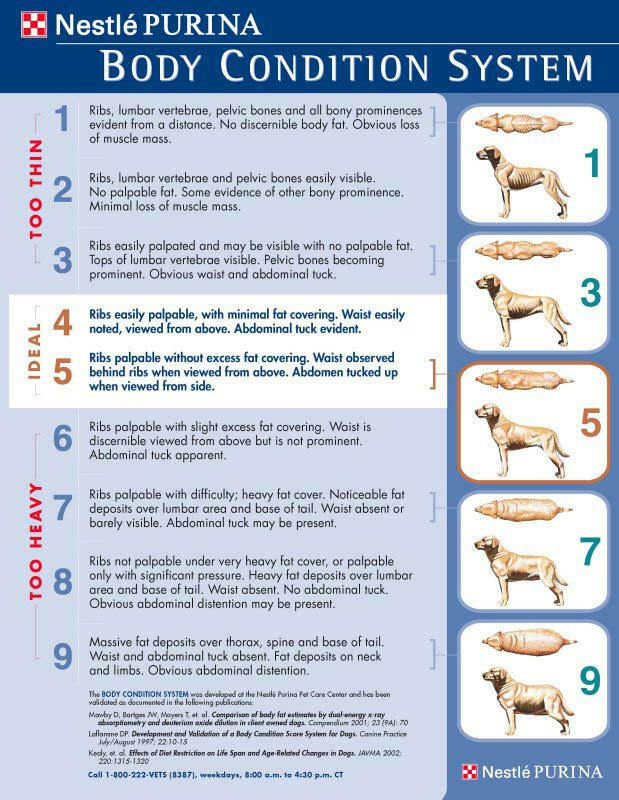 A dog is considered overweight, once they have surpassed the 5/9 mark on the BCS (Body Condition score) chart. Please follow this link to view this reference chart. This chart will illustrate to you what an ideal body condition score looks like, as opposed to a very obese 9/9 body condition score. Yes, some dog breeds have a higher risk of obesity than others, but it can happen to any dog. Breeds that are most commonly overweight are; Labrador Retrievers, Pugs, Dachshunds, English Bulldogs, Cairn Terriers, Beagles, Cocker Spaniels, Rottweilers, Golden Retrievers, Chihuahua, Scottish Terriers, American Staffordshire Terrier, Boxers, Saint Bernards, Cavalier King Charles Spaniel, and Basset Hounds. Maintaining a healthy weight for your pet can add years to their lives. Proper nutrition and weight management are the cornerstones of good health for your dog. Just like humans, when you are overweight, you are more prone to developing other health problems. A healthy weight is very important for your animal and can add longevity to their lives. Did you know that nutrition is one of the top vital assessments that veterinarians check when examining your pet? What does that mean? It means that along with temperature, cardiac function, respiration and pain management, your veterinarian will be assessing your pet’s nutritional requirements. With the right nutrition, your pet’s quality of life can improve which will allow them to live a long and healthy life. Proper nutrition has many more added benefits than it did 30 years ago. In today’s world, the diets that are carried by our animal hospital have amazing science that backs up the benefits of the products. Food is now a science that can prevent disease, prolong quality of life, and can be used therapeutically with or without medication to aid in your pet’s health. Quite literally food that is sold in our hospital can save your pet’s life!